Hey everyone! We've been having a rainy lazy weekend over here, but it's given me some time to do nail art with a new stamping plate I recently received from Born Pretty Store. 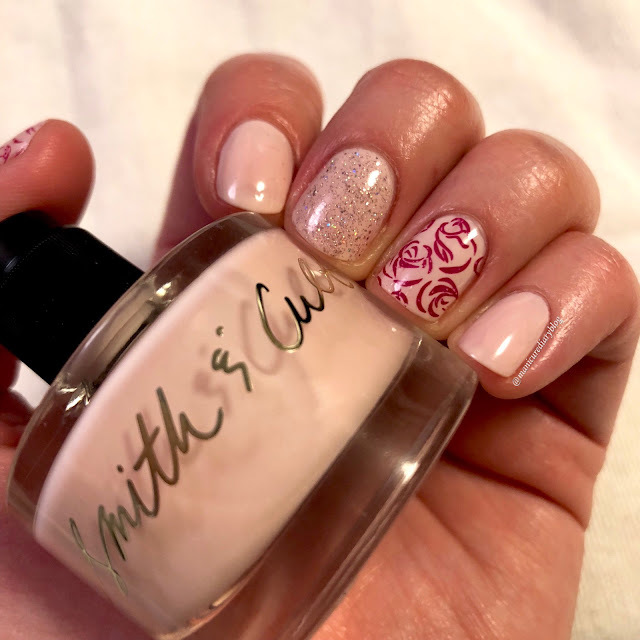 I wanted to try to do a few different Valentine's Day looks and this plate has so many pretty designs! 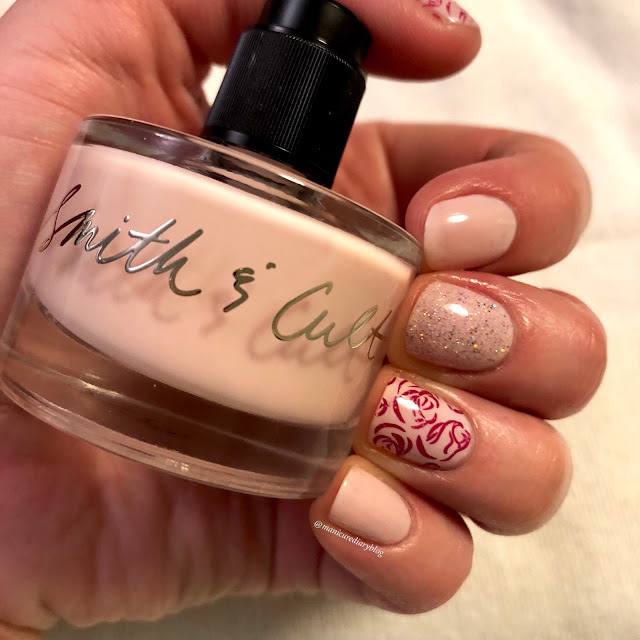 For my base color I used one of my new Smith & Cult polishes in the shade Pillow Pie, a semi-sheer powder pink. I used three thin coats here to build up opacity. 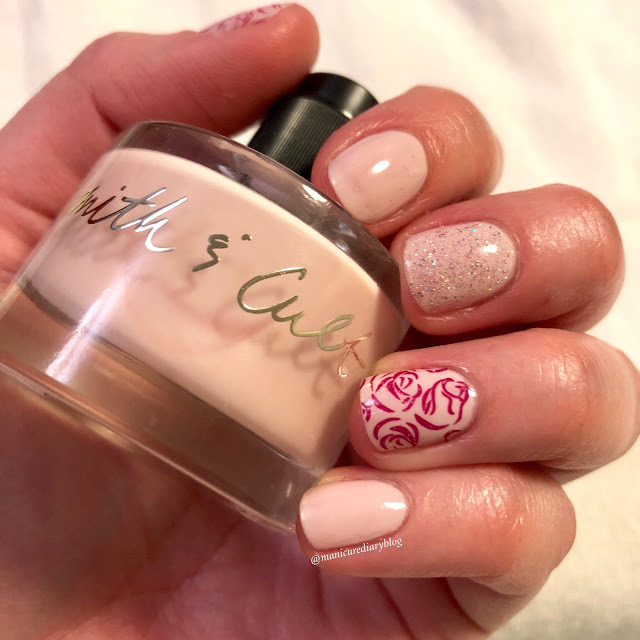 The formula is really nice on this one. 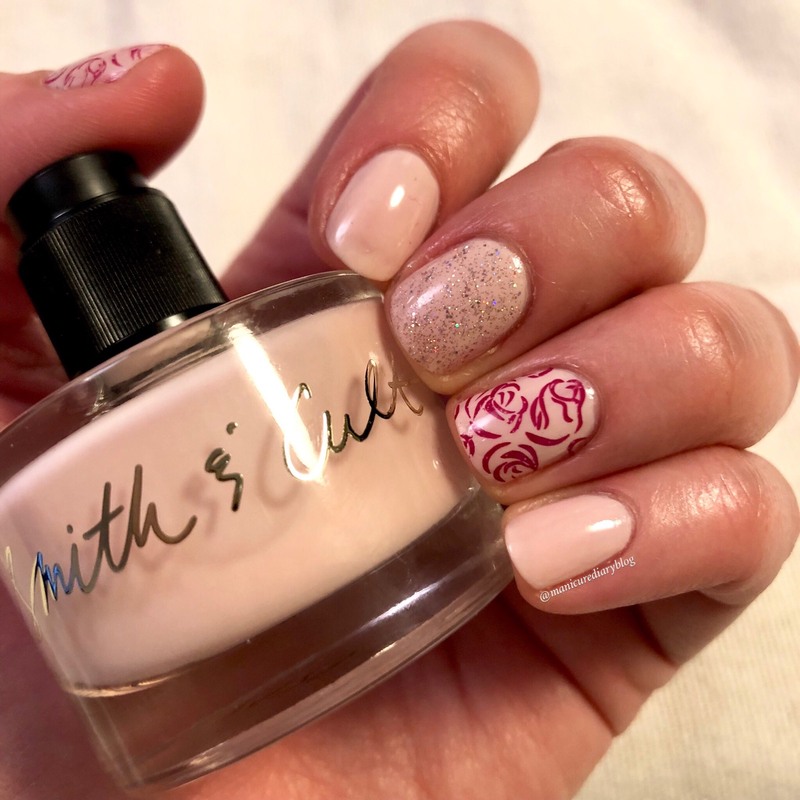 The color I used for stamping is JINsoon Heroine, a deep purplish pink. 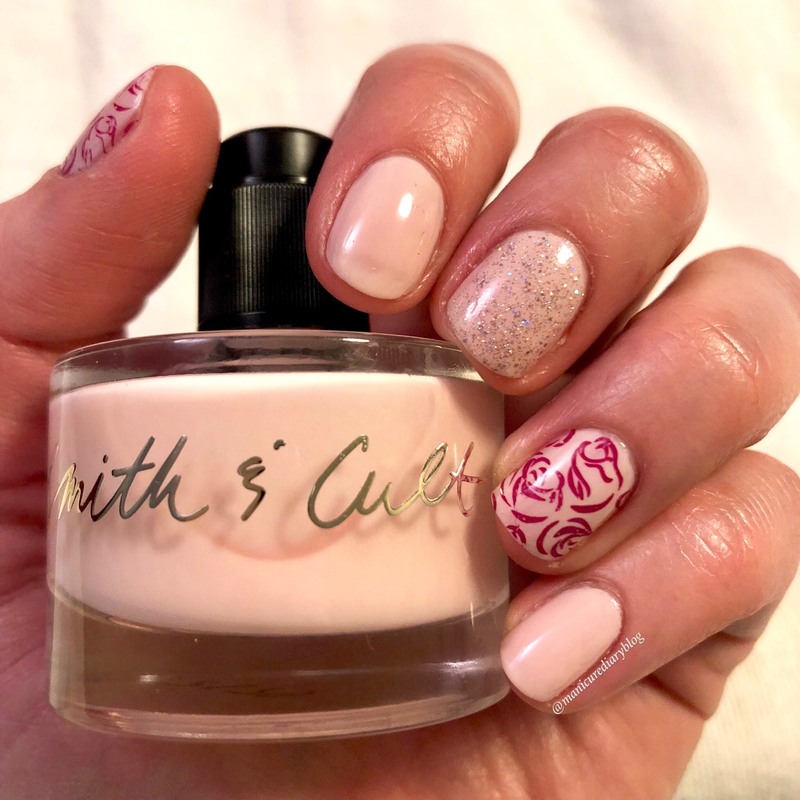 Lastly, I used Smith & Cult Take Fountain for a glittery accent nail. 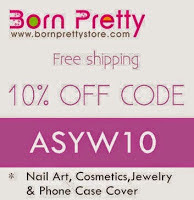 I still have a few more fun products to share from Born Pretty Store in upcoming posts. 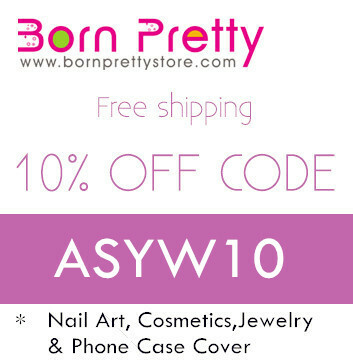 Btw, when you place an order with BPS make sure you use my discount code ASYW10 for 10% off! 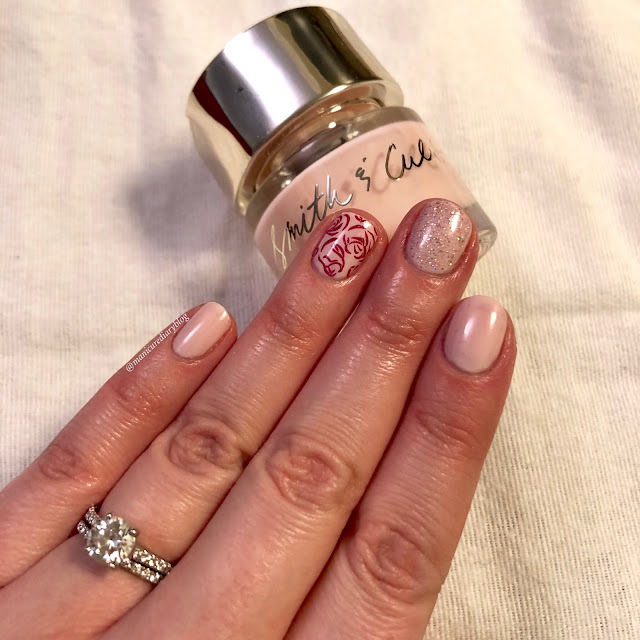 Disclaimer: The stamping products in this post were provided for my honest review by the Born Pretty Store. All opinions are my own.